You Have Your Shopper In the Store--Now What? While holiday shopping is a tradition, the way people shop is anything but traditional. Technology and, yes, the internet allow customers to find the products they are looking for and do research on them without having to spend a weekend running all over town. When shoppers find the products they are looking for, the real work begins. They want to know where and how it was made, what price they can expect to pay for it, and who has it in stock. We took a deep-dive in October helping you learn about being there when the customer is doing this research online. Your website and social media are important to letting customers know that you have what they want. The thing that sets your brick and mortar store apart when it comes time to purchase is the ability for shoppers to have an experience with products before buying. The fear of the internet has been put into live retailers with news that ecommerce shopping is taking over the purchase experience, especially with millennials who live with their smartphone in their hand. Research is showing that while customers are doing their initial research online, they want to touch a product and learn more about it before they purchase. And the younger shoppers? A study done by IBM said that 98% of Gen Z shoppers are into going into a physical store where 67% will shop “most of the time” and 31% “sometimes”. The same IBM study presents an idea that, considering their age and experience, is quite idealistic. Summing up the research, Gen Z shoppers believe that stores live in their devices and in their towns. They expect you to be available 24/7. Now, this doesn’t mean they expect your store to be open all the time, instead, they want to be able to get an idea online about what they can expect when they come into your store. Being able to convey the same feeling online and in-store is critical to the customer experience. To do this, make sure your branding is consistent across all marketing channels. (Not sure what branding is? Send us an email. We’re happy to talk to you about it.) The ability for shoppers to recognize your fonts, logos, and colors provides a sense of confidence that, yes, they are about to get what they came to find. 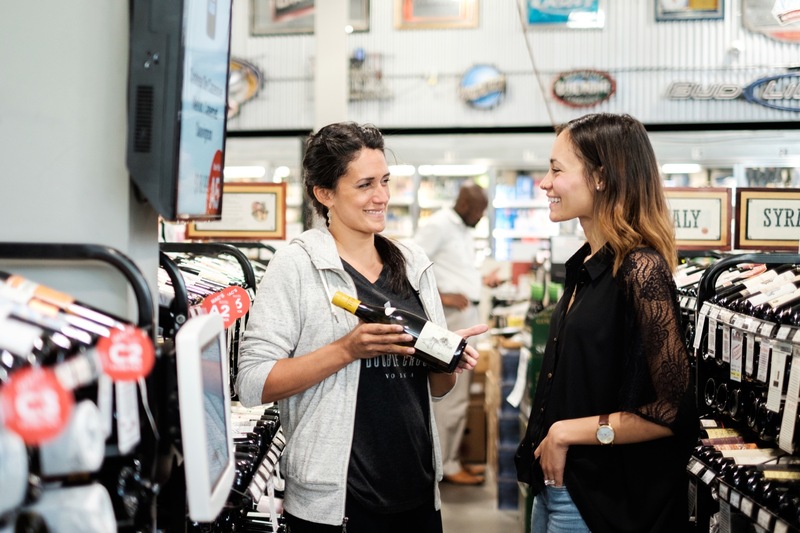 While shoppers today are well-connected, what they want is connection that leads to a memorable customer experience. A physical store provides them the interaction and engagement with people and the products they are looking for. This month Sellr will look at ways to engage your shoppers once they come through your door and the importance of the impression you make on them. Be the go-to store for your customers. Learn how Sellr can help you be what your shoppers are looking for.